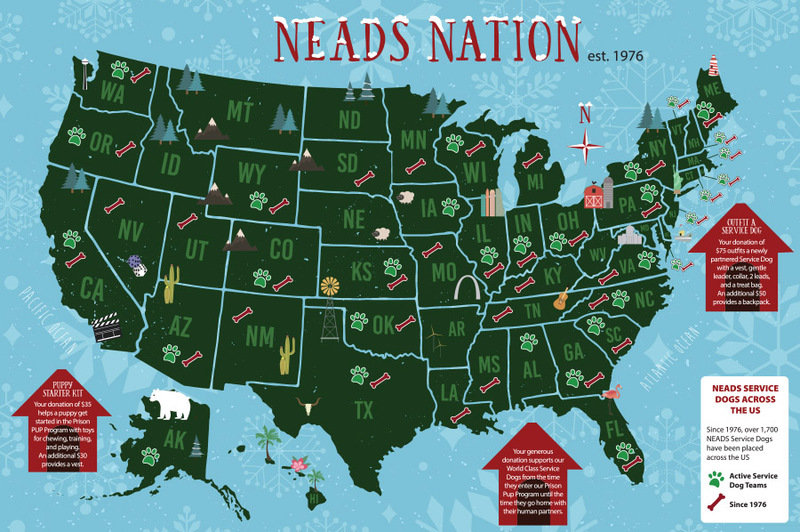 NEADS Holiday Mailer | Accent Design | Inc. 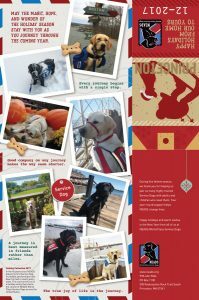 This year’s holiday annual appeal is a fold-up triptych which features a map of where dogs are in service in the US, as well as a photo journal of dogs at work and at play, as well as traditional holiday messaging. 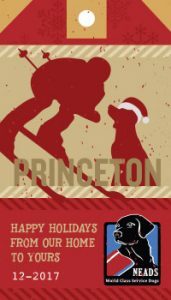 A luggage-tag style magnet was included in the mailing.